Raluca joined Watsi on February 23rd, 2015. Four years ago, Raluca became the 944th member to automatically support a new Watsi patient every month. Since then, 4,133 more people have become monthly donors! Raluca's most recent donation traveled 8,500 miles to support John, a man from Kenya, to fund spinal surgery. Raluca has funded healthcare for 52 patients in 10 countries. Hikma is a child from Ethiopia. She is a cute baby girl who loves to play with other chidlren and dolls. She also loves to eat fruits. Hikma was born with an anorectal malformation, a congenital abnormality that leads to a complete or partial intestinal blockage. She needs to undergo a series of procedures to eliminate bowel dysfunction. Hikma is scheduled to undergo surgery to correct her condition on November 22. Our medical partner, African Mission Healthcare Foundation, is requesting $1,500 to cover the total cost of Hikma's procedure and care. After her recovery, Hikma will no longer experience bowel dysfunction or be at risk of developing health complications in the future. Miriam is a farmer from Kenya. She is a mother of seven. Miriam is a widow, as her husband died three years ago after a short illness. Seven years ago, Miriam began to experience troubling symptoms, including a neck swelling, difficulty focusing, fatigue, and weight loss. She was diagnosed with a goiter, an abnormal enlargement of the thyroid gland. She needs surgery to prevent her symptoms from getting worse. Our medical partner, African Mission Healthcare Foundation, is helping Miriam receive treatment. 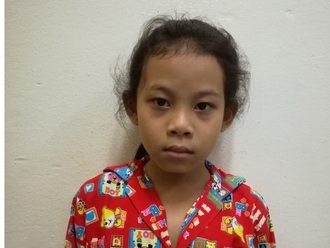 She is scheduled to undergo a thyroidectomy on August 8 at our medical partner's care center. Surgeons will remove all or part of her thyroid gland. This procedure will cost $641, and she and her family need help raising money. 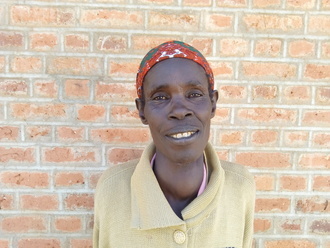 Miriam says, “My prayer is to get well so that I can provide for my family. I want to work but I get tired very fast." Nwet (BB) is a five-month-old baby boy from Burma. He lives with his family in a village in Karen State. He is a smiling boy. Nwet (BB) was recently diagnosed with hydrocehpalus, which has caused fluid to build up in his brain. Without immediate surgery to alleviate the intracranial pressure that the excess fluid is causing, he is at risk of developing severe, potentially fatal medical complications. 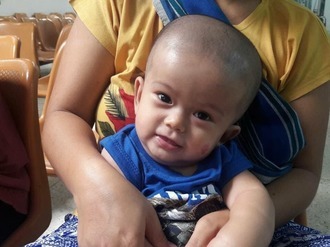 Our medical partner, Burma Children Medical Fund, is requesting $1,500 to fund the insertion of a ventriculoperitoneal shunt for Nwet (BB), which will drain the fluid that has accumulated in his brain. The procedure is scheduled to take place on May 22, and, once completed, will greatly improve Nwet (BB)'s quality of life. His mother says, "I love to see my son's smile and want him to recover and grow up happily."